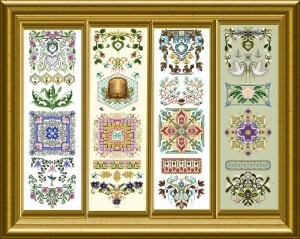 These four designs were early Mysteries, later republished and printed – and now they are back here on my website in PDF’s. 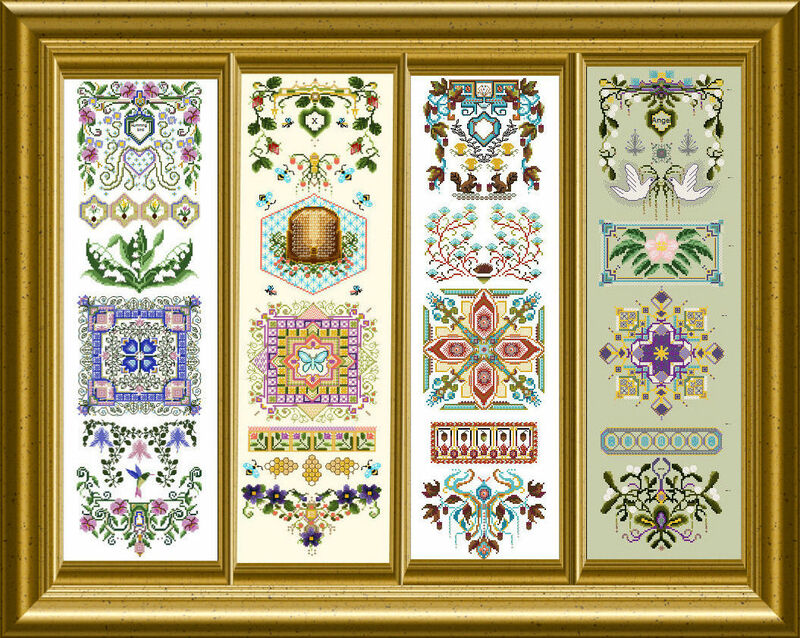 You can of course stitch each single – pick out the one you love most – but you can as well use them as a seasonal embroidery -be it in 4 band samplers, with hardware on top – or 4 designs side-by-side on one large piece of fabric. with a saving discount of 20% against the single purchase of each design ( 120.- €) ! !